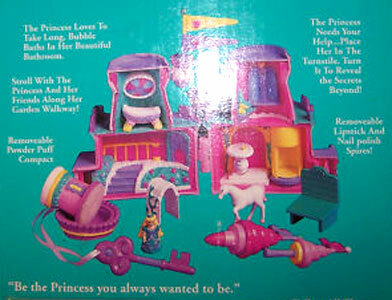 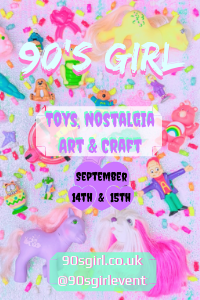 The Cosmetic playset came with a princess, a pony, a garden trellis, patio furniture, a key necklace, play lipstick, play nail polish, and a powder puff compact. 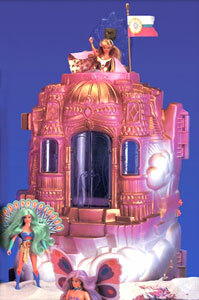 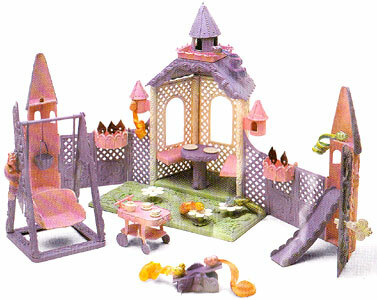 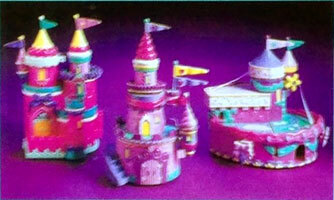 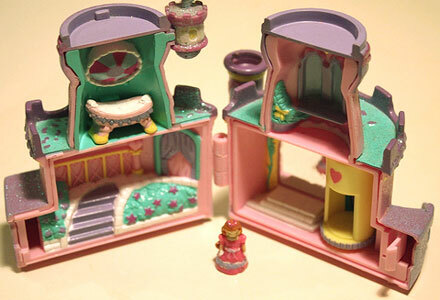 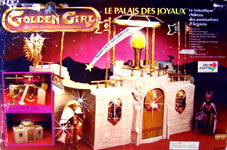 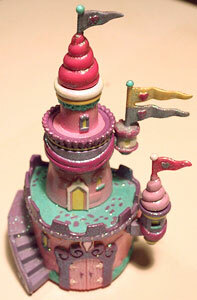 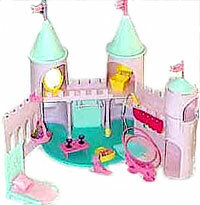 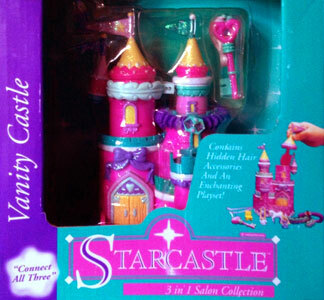 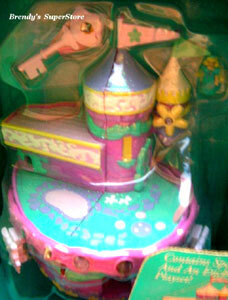 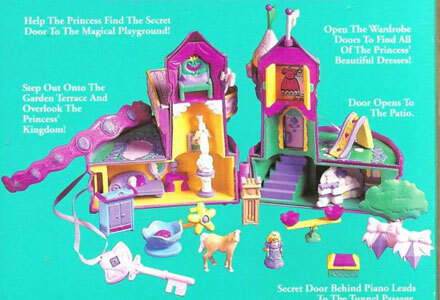 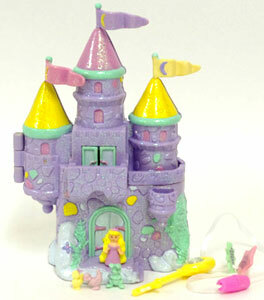 The Jewelry playset came with a princess, a pony, a slide, a see-saw, a tree, and secret hide-away places within the castle to find! 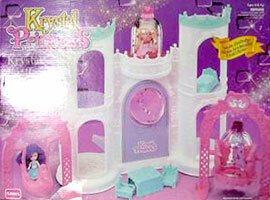 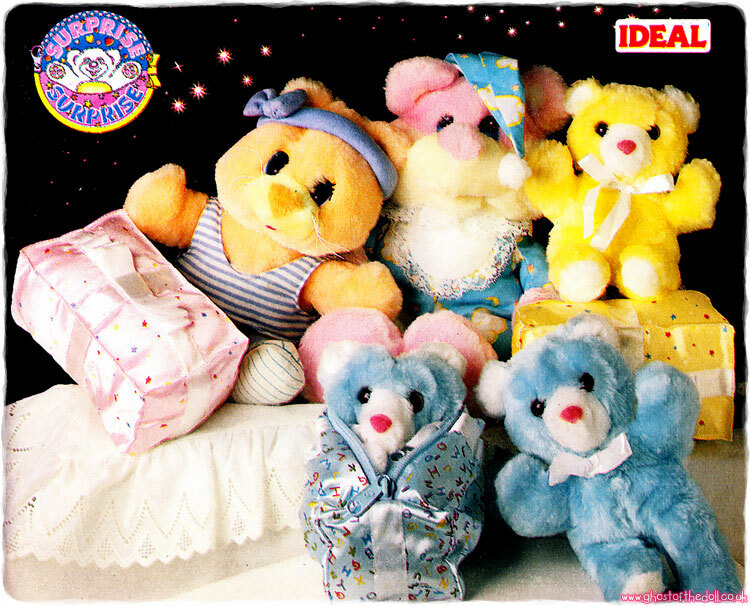 It also came with earrings, a headband, a key necklace, and a flower ring. 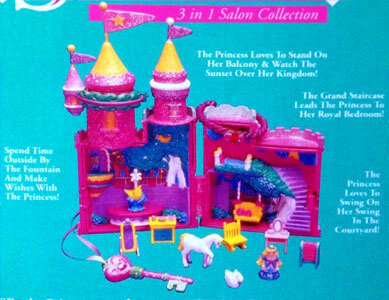 The Vanity playset came with a princess, a pony, furniture, a wishing well, a key necklace, hairbands, two barrettes and a small brush.